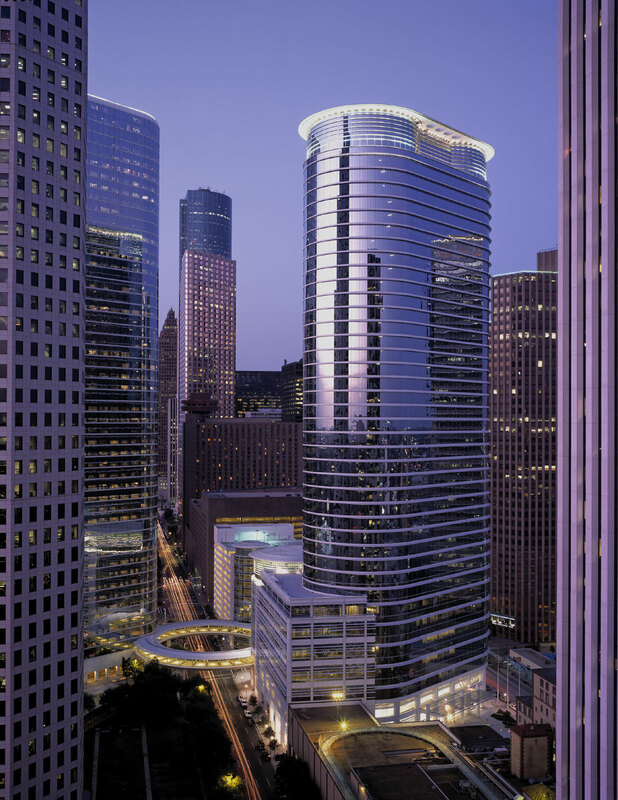 Hines served as development manager for this signature 40-story office tower in downtown Houston. Designed by internationally renowned architect Cesar Pelli, this 1.3 million-square-foot office building is clad in a highly articulated system of reflective glass and metal panels, and features perforated sunshades on its south face. 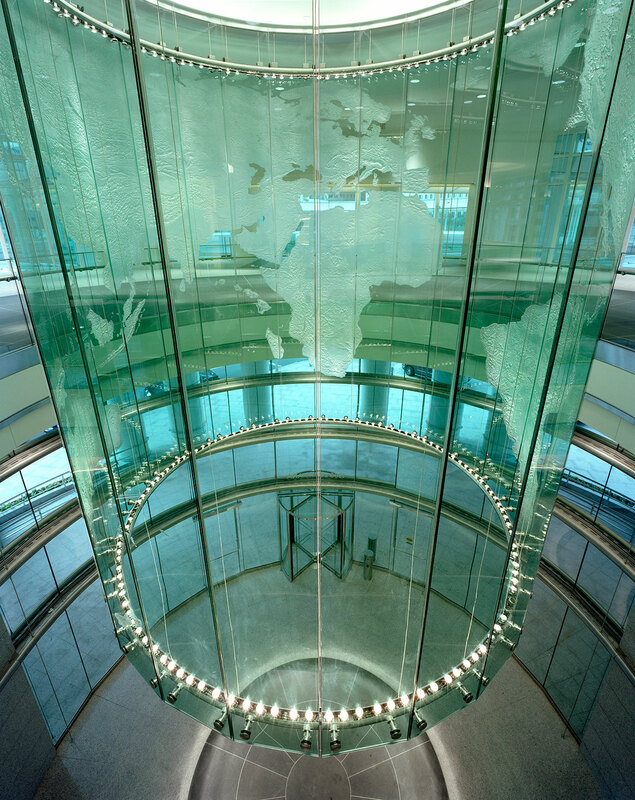 The building’s seven-story base includes four 52,000-square-foot state-of-the-art trading floors and the executive floor. Each of the 33 tower floors contains 25,000 square feet of efficient office space laid out in a distinctive racetrack configuration. 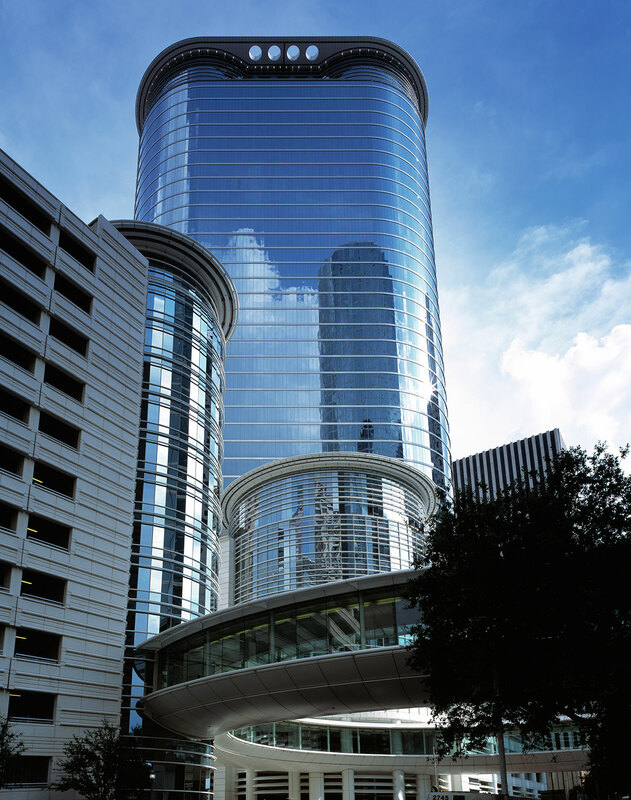 Vertical transportation unparalleled among Houston office buildings is provided by 24 high-speed passenger elevators, four service elevators and eight escalators. The second floor features a unique circular skybridge that interconnects it with its 1,300-car parking garage and a neighboring building. 1500 Louisiana was completed in early 2002.